Apple product lineup for this year is being said to the company’s most exciting lineup in the past 25 years. We’re getting a variety of different gadgets this year from the Cupertino giant. This is of course a departure from the Jobs era, where the focus was on a few, highly focused products. With Tim Cook in charge for several years, this time around we’re getting two variants of the iPhone 6, two different iPads, a new Mac, new Macbooks and more. 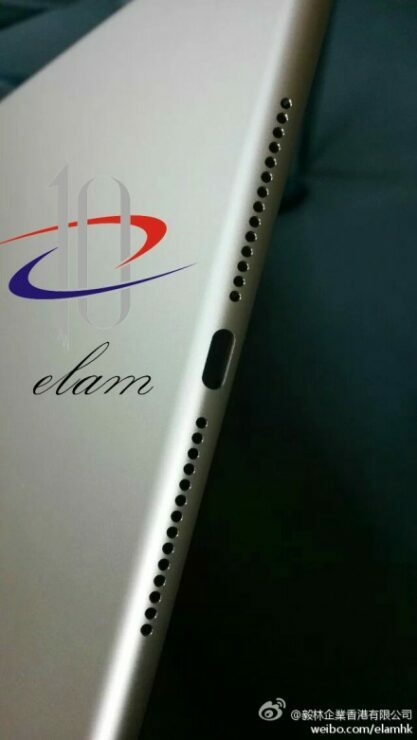 The rumor mill on the internet has focused mainly on the iPhone 6 for these past days. 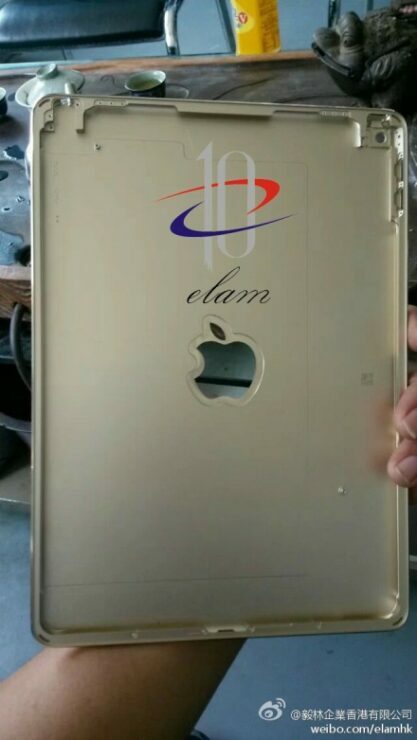 Well today we’ve managed to get our hands on a couple of pictures showing what appears to be the case of the upcoming iPad Air 2. We know quite a few things about the iPad Air 2 so far though. Starting with the famous Touch ID sensor, the iPad Air 2 is to reportedly get a touch sensor. In addition to this, for the first time, the display of the device is to be integrated with the front panel. This will be a huge help in the thickness department and will make the device significantly thicker. Also, the iPad Air 2 will be getting Apple’s A8 processor and an 8 MP camera. 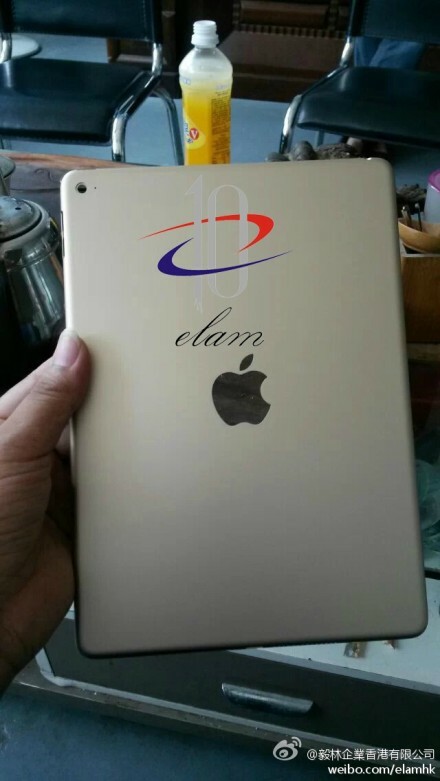 Apart from the 8 Mp camera and the A8 processor, we were able to know several details about the design of the iPad Air 2 as well. These included a thinner design, a single line of speakers courtesy of the thinner design and potential ruling out of front speakers on the iPad Air 2. Well, these latest pictures have several details to offer us in the design department as well. Apart from the single line of speakers, several other features can be discerned as well. These include the fact that the rear microphone on the device is located over the center of the upper portion of the shell. In addition to this, the volume controls for the device have been encrusted to side of the shell. The single line of speakers also gets a confirmation. The double rows on the previous variants have now been replaced by two single rows instead. Oh and just in case you were wondering, the pictures are a courtesy of the Chinese (Who else). Chinese site Weibo has claimed to get its hands on the shell casing. 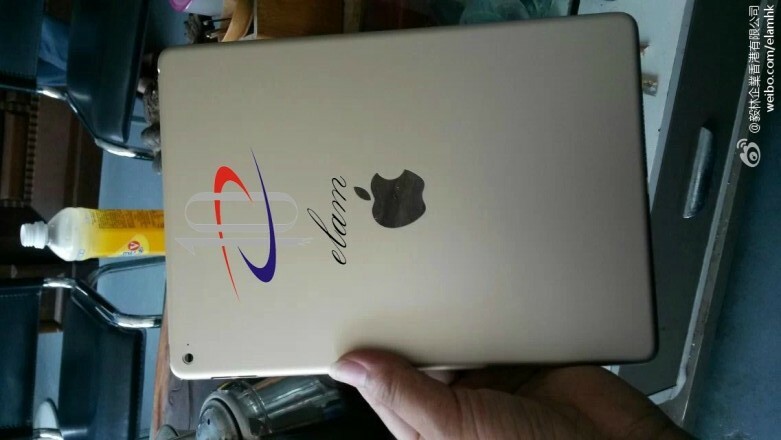 In case you’re more curious about the iPad Air 2, take a look here. We’ve got plenty covered so far, including a prior MAJOR leak which covered almost every angle of the device. Cheers.